FIELD DAY! Let the Games Begin! 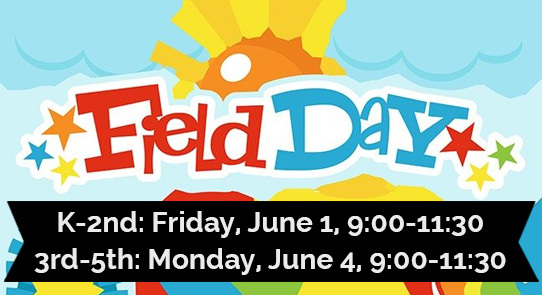 Field Day is coming and we will need lots of parent volunteers! Please sign up and let us know you can join in on the fun! This entry was posted in Events, Volunteer by Sarah Shriver. Bookmark the permalink.